British actor Simon Dutton (Dangerous Beauty, By the Sword Divided) dons the golden halo in three feature-length adventures based on the timeless character created by Leslie Charteris. 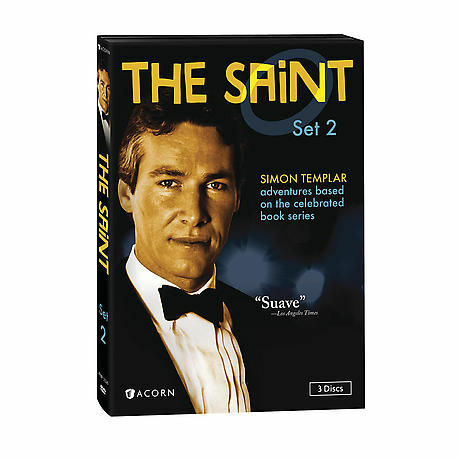 Simon Templar-known as the Saint from his initials-is a suave, sophisticated super-sleuth with a taste for theft and beautiful women. He lives on both sides of the law, courting danger with a smile. 3 DVDs, approx. 296 minutes, CC, SDH.